A Comprehensive step by step tutorial on securing MEVN (MongoDB, Express.js, Vue.js 2, Node.js) Stack Web Application using Passport.js. Previously we have done securing MEAN and MERN Stack, now we'll show you how to do that with MEVN Stack. We are using same stories as the previous tutorial. 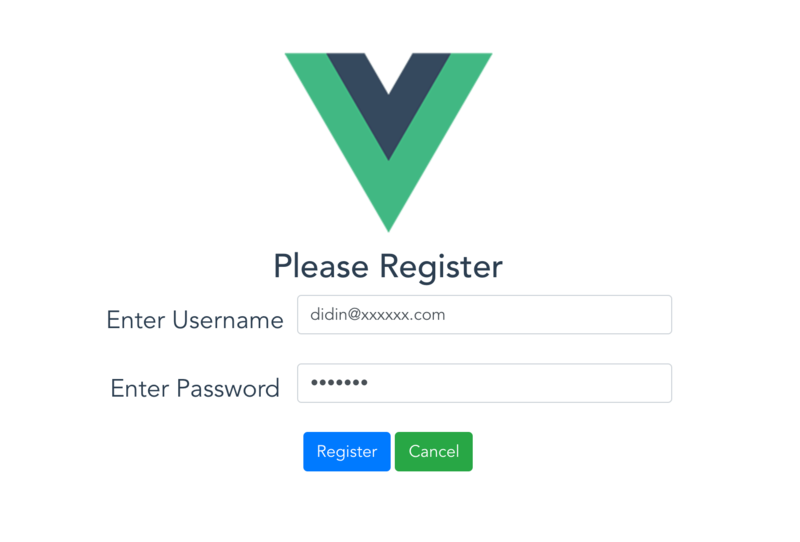 Securing the RESTful API that accessible by Vue.js component or page. Now, install Vue-CLI by typing this command. To create a new Vue.js application using `vue-cli` simply type this command from terminal or Node command line. You will get the questions like below, just leave all by default. As, usual we have to make sure that Vue.js application running properly. Go to the new Vue.js application directory then run the application. Now, open the browser then go to this address `http://localhost:8080`. You will see this page if everything still on the right path. Close the running Vue.js app first by press `ctrl+c` then type this command for adding Express.js modules and it dependencies. Next, create a new folder called `bin` then add a file called `www` on the root of Vue.js project folder. Now, create `app.js` in the root of project folder. You will see the previous Vue.js landing page when you point your browser to `http://localhost:3000`. When you change the address to `http://localhost:3000/book` you will see this page. If you find this error. Then add to `app.js` this line after `app.use`. Add configuration files to `config` folder. We need additional modules for accessing RESTful API and styling the front end. For navigating or routing between views, there already installed `vue-router` module. Type this commands to install the required modules. To register or create routes for the whole application navigation, open and edit `src/router/index.js` then replace all codes with this. Add Vue files for above registered components or pages. Now, open and edit `src/components/BookList.vue` then add this lines of codes. 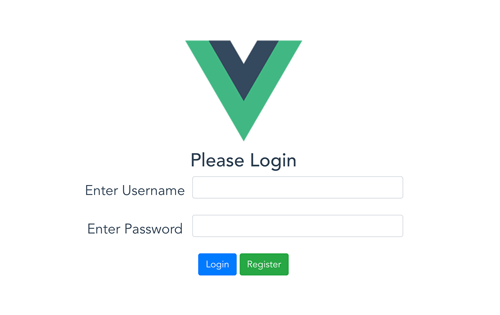 Previously we have created a Vue file for login component. Now, open and edit `src/components/Login.vue` then add/replace this lines of codes. On that codes, we use the same view with login component. Register action will redirect to login component after successful registration. Finally, for logout function just add logout button inside the Book List page and set the action just for clear local storage with the item `jwtToken`. Open and edit again `src/components/BookList.vue` then add logout function to the method. Also add the button next to the header. It's a time for test the whole MEVN stack secure application. The Vue 2 application will integrate with Express.js by building the Vue 2 application first. Type this command to build the Vue 2 application then run the Express.js server. That's it, the complete tutorial of securing the MEVN stack (Vue.js 2) web application using Passport.js authentication. If there's something wrong with the steps of the tutorial, you can compare it with the full working source code from our GitHub.